While recent rainfall has led to strung out cotton with sprouting in some parts of Texas, drought has led to abandonment in others. As a result, the U.S. Department of Agriculture (USDA) has altered its forecasted yield for the nation. 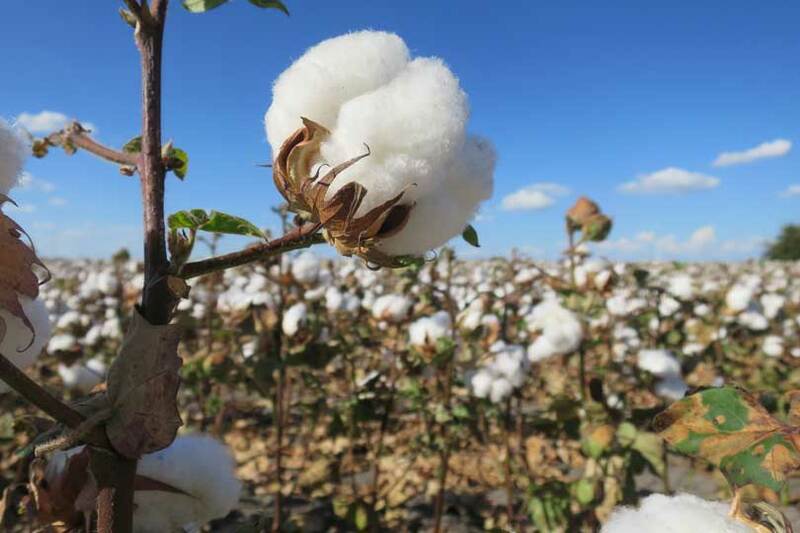 U.S. cotton farmers are forecast to produce 19.68 million bales this year, according to USDA’s latest World Agricultural Supply and Demand Estimates (WASDE) report. USDA raised its forecast 447,000 bales on increased production in the southwest, southeast and Delta. “We made some adjustments based on the certified acreage from the Farm Service Agency, and increased the planted acreage by 524,000 acres. That’s up 3.9 percent from the August forecast to 14 million planted acres in cotton,” Warren Preston, deputy chief economist for USDA, said. The agency increased its estimated for harvested cotton acreage to 10.55 million acres from the 10.14 forecast in last month’s report. “That is down 4.9 percent from the previous season, while the planted acreage is up by 11.3 percent from last year,” Preston. There’s a divergence this year between planted and harvested acreage the U.S. hasn’t seen in a few years, according to Preston. “A lot of that is particularly attributable to abandonment in Texas due to drought conditions,” he said. Beginning stocks are forecast down 100,000 bales at 4.3 million. According to USDA, 200,000 more bales of cotton will be exported than originally forecast. The export forecast is now 15.7 million bales. Ending stocks are relative to last month at 4.7 million bales. The forecast average season farm price is unchanged this month at 70 to 80 cents a pound. That’s two to 12 cents higher than the 2016-17 and 2017-18 rates. World cotton production and use are forecast to be the closest they’ve been in at least eight years. World production is estimated at 121.97 million 480-pound bales. That’s up from the 120.53 million bales forecast in August. Global consumption is forecast at 127.94 million bales, up from the 127.62 million forecast last month due to higher forecast use in India. If realized, it would be the lowest stocks/use radio since 2010 but still higher than every other year before 2010-2011.